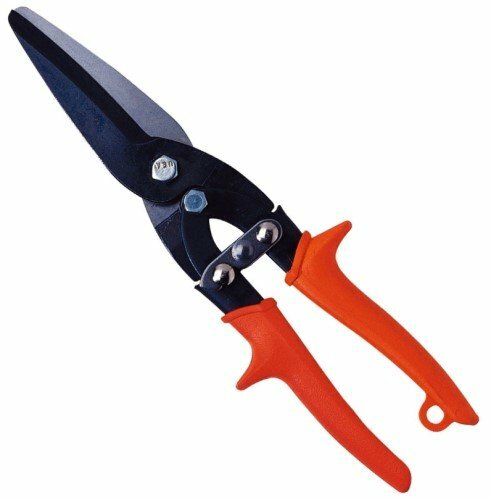 Combines long cut of tinners snips with the strength of compound action. Compound action multiplies the force of the hand by five times. For making long, fast cuts in material like: paper, plastic, sheet metal. Cuts up to 20 gauge low carbon cold rolled steel. Features non-slip, serrated jaws as well as non-slip textured grips. If you have any questions about this product by Wiss, contact us by completing and submitting the form below. If you are looking for a specif part number, please include it with your message.